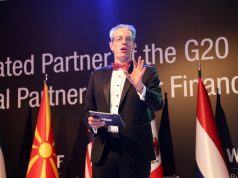 An affiliated partner of the G20 Global Partnership for Financial Inclusion (GPFI), the World Business Angels Investment Forum (WBAF) announces new High Commissioners and Senators of the Grand Assembly. Austria, Bulgaria, Cameroon, France, Germany, Iran, Portugal, Tunisia, Uruguay and Zambia are now more connected with global investment markets. Know more about new World Leaders of the World Business Angels Investment Forum. Austria, Bulgaria, Cameroon, France, Germany, Iran, Portugal, Tunisia, Uruguay and Zambia have joined the largest global angel investors forum of the world and will now be able to connect with the global angels market, which will open up splendid opportunities for the joining countries. Now local angel investors, academics, woman leaders, finance markets, innovation ecosystems and aspiring entrepreneurs of these ten countries will have the opportunity to connect with global leaders in the same field. The inclusion of these countries in WBAF provides a wide range of opportunities for start-ups and opens doors for economic development. 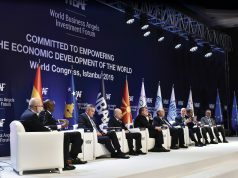 Baybars Altuntas, Chairman of the WBAF, says ‘WBAF supports start-ups, develops entrepreneurial ecosystems, and helps venture capital and companies connect with international companies, fintechs and other relevant institutions. We are confident about our contribution to the economic development of the country by facilitating connections with entrepreneurial ecosystems. We strongly believe that Austria, Bulgaria, Cameroon, France, Germany, Iran, Portugal, Tunisia, Uruguay and Zambia will soon become countries that can foster the development of their economies in entrepreneurial atmospheres’. Christoph Drescher, CEO & Founder of DealMatrix, has been appointed as Senator at the Grand Assembly of the World Business Angels Investment Forum. Senator Drescher to represent Austria in the Global Startups Committee of the Grand Assembly. Vassil Karaivanov, Chairman of the Management Board at Sofia Tech Park JSC, has been appointed WBAF High Commissioner for Bulgaria. High Commissioner Karaivanov to represent Bulgaria in the Global Innovation & Technology Leaders Committee of the Grand Assembly. Fadilah Tchoumba, Managing Partner at Amzill Group, has been appointed as Senator at the Grand Assembly of the World Business Angels Investment Forum. Senator Tchoumba to represent Cameroon in the Global Woman Leaders Committee of the Grand Assembly. Adelaide Ngalle-Miano, President of the Cameroon Women Business Leaders Association (CWBLA), has been appointed as Senator at the Grand Assembly of the World Business Angels Investment Forum. Senator Ngalle-Miano to represent Cameroon in the Global Woman Leaders Committee of the Grand Assembly. Patrick Kedziora, a founder of five technology companies in the past fifteen years and an Ex-Managing Director for a $250 million investment fund has been appointed WBAF High Commissioner for France. High Commissioner Kedziora to represent France at the Grand Assembly of the World Business Angels Investment Forum. 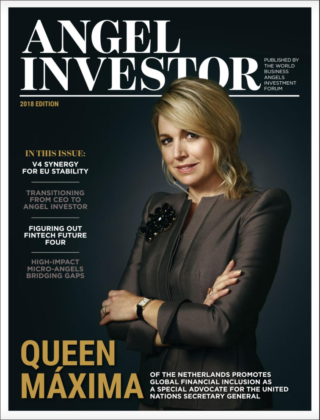 Anna Fedulow, Senior Consultant, Corporate Strategy at The Boston Consulting Group, has been appointed as Senator at the Grand Assembly of the World Business Angels Investment Forum. Senator Fedulow to represent Germany in the Global Woman Leaders Committee of the Grand Assembly. Hasan Khakbaz, Vice-President of Isfahan Science and Technology Town (ISTT), has been appointed as Senator at the Grand Assembly of the World Business Angels Investment Forum. Senator Khakbaz to represent Iran in the Global Innovation & Technology Leaders Committee of the Grand Assembly. Maryam Najafi, Consultant at Karaya Angel Investors, has been appointed as Senator at the Grand Assembly of the World Business Angels Investment Forum. Senator Najafi to represent Iran in the Global Startups Committee of the Grand Assembly. Hugo Mendes, the Group Chief Financial Officer (CFO) for Macauto group – the 2nd largest producer of automotive sunshades in the world, listed in the Taiwan OTC Exchange (TWO), has been appointed as Senator at the Grand Assembly of the World Business Angels Investment Forum. Senator Mendes to represent Portugal in the International Finance Committee of the Grand Assembly. Mohamed Fetah Krichene, General Manager at Sfax Technopark, has been appointed as Senator at the Grand Assembly of the World Business Angels Investment Forum. Senator Krichene to represent Tunisia in the Global Innovation & Technology Leaders Committee of the Grand Assembly. Andrea Perez Bertolotto, Finance and Investor Relations Manager at 365Flix has been appointed as Senator at the Grand Assembly of the World Business Angels Investment Forum. Senator Bertolotto to represent Uruguay in the Global Woman Leaders Committee of the Grand Assembly. Mulemwa Moongwa, Social Impact Investor, has been appointed as Senator at the Grand Assembly of the World Business Angels Investment Forum. Senator Moongwa to represent Zambia in the Global Woman Leaders Committee of the Grand Assembly. The World Business Angels Investment Forum interacts with leaders in all areas of society — first and foremost in business and political spheres — to help assess needs and establish goals, bearing in mind that the public interest is of paramount importance. WBAF engages with a wide range of institutions — public and private, local and international, commercial and academic — to help shape the global agenda. WBAF holds that, with the participation of individuals and institutions from multiple sectors and from all parts of society, real progress can be achieved. One way WBAF does this is through its partnership agreements and joint projects developed with international institutions. 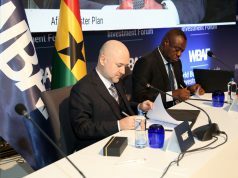 Until now, WBAF made agreements with International Finance Corporation of the World Bank Group (IFC), London Stock Exchange Group (LSEG), International Science Parks Association(IASP), World Association of Investment Promotion Agencies (WAIPA), The European Trade Association for Business Angels (EBAN), African Business Angels Network (ABAN), The Middle East Trade Association for Business Angels (MBAN). WBAF also engages individuals and institutions through its High Commissioners and Senators. Becoming a WBAF High Commissioner or Senator involves embracing activities that are designed to serve the global community and WBAF members. By combining regular, small contributions from the many dynamic High Commissioners and Senators around the world, we all benefit from shared learning, better networks and increased exposure. High Commissioner: One High Commissioner is appointed for each country. Each High Commissioner and Senator will take a role in one of the many WBAF Committees: the Global Women Leaders Committee, the Academic Committee, the Innovation & Science Parks Committee, the Impact Investment Committee, the International Fintech Committee, the World Crowdfunding Committee, the Global Incubation Centers Committee, the Global Co-Working Spaces Committee, the Private Equity Committee, the Wealth Management Committee, the Banking Committee, the Start-ups Committee, the Scale-ups Committee, the Exits Committee, the ICO Committee, the Artificial Intelligence Committee and so on. For a complete list of committees, please contact WBAF headquarters.To have an idea about the current High Commissioners and Senators, please visit the website below.